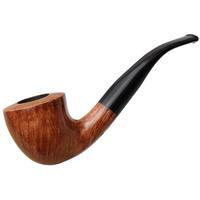 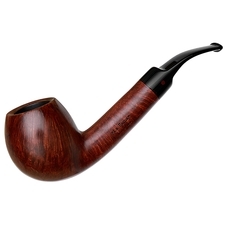 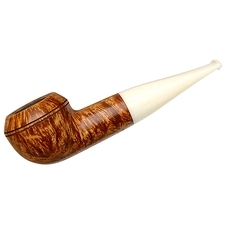 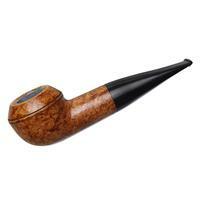 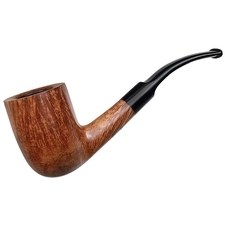 Decidedly removed from the seriously full-bodied, rustic and often spot-carved numbers which make up Boswell's typical fare, this Belge-like bent Apple shape is remarkably compact, and rather elegant to boot. 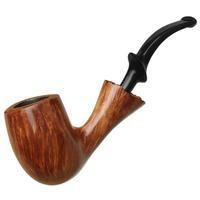 It's finished in a warm, smooth stain, paired to a jet-black acrylic stem for a traditional appeal. 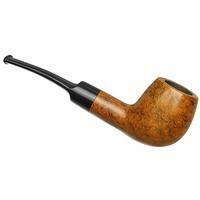 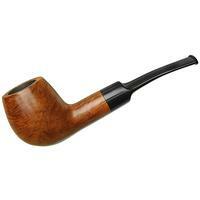 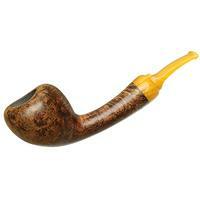 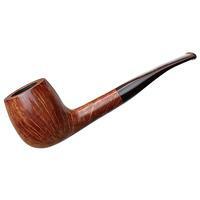 The airway was over-drilled, but this piece is unsmoked and in excellent condition otherwise.